Just imagine. The waves are crashing softly to the shore. A warm sea breeze is ruffling your hair. The tropical sun shines on exotic flowers that surround you with their beauty. You are about the walk down the aisle and pledge your love to someone who means the world to you. Of course you want amazing pictures of the moment and without a quality Cancun wedding photographer, you may go home with just memories of the beautiful, romantic, special event. Weddings in Cancun are becoming more common than ever because people want something exotic and romantic for their special day. Wedding photography in Cancun can ensure that each moment of the destination ceremony is recorded for you to enjoy again and again. Not all wedding photographers in Cancun will provide you with quality work, however, so it is important for you to take your time, look at past work, and choose someone you know you can trust. We strive to be one of the best Cancun wedding photographers, and we invite you to browse our galleries of weddings. You will see that we understand how to capture the essence of your tropical wedding ceremony and reception. Cancun was founded in 1970 and by 1976 it was already a force to be reckoned with on the beach tourism market; attracting over 100,000 visitors. 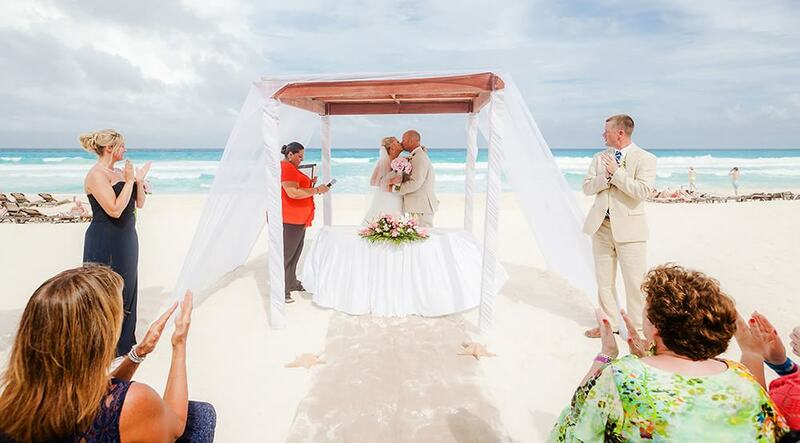 Since that time, people have seen the draw of Cancun as a beautiful place in Mexico to enjoy a tropical vacation and to even say their vows. This locale feels very much like a little piece of paradise where you can enjoy the beautiful blue waters, explore ancient ruins, and take part in adventures you will never forget… including a crazy nightlife. As time has gone by, more people have seen the appeal to Cancun weddings and choosing the perfect photographer. After all, the wedding photographer will be able to capture the breathtaking scenery around them while capturing those special moments in the bride and groom’s day. With the right photographer, you will be able to capture every beautiful thing that Cancun has to offer. Whether you want a religious ceremony or something casual and fun outdoors, you do have options, and your photographer will know just how to capture every special moment. 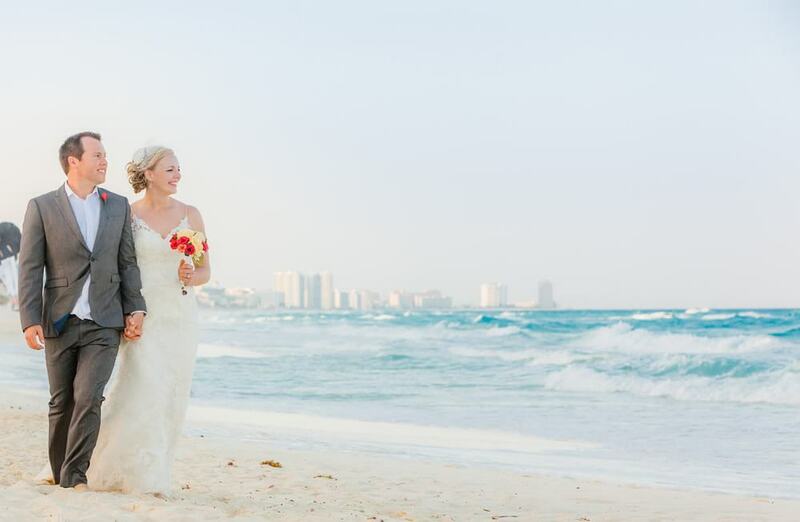 When you begin exploring your options for a Cancun wedding, you will find that many venues offer wedding packages, and that could be an ideal option for you since you will be able to avoid much of the local planning. However, you should always make sure you have one of the best photographers in Cancun to capture the day. If the package insists that you use a photographer who doesn’t have the body of work that appeals to you, then it is perfectly acceptable to choose your own professional. Remember that once the day is over, it can be very hard to remember every special moment of it. You absolutely do not want to choose any Mexico wedding photographer whose work you don’t love. 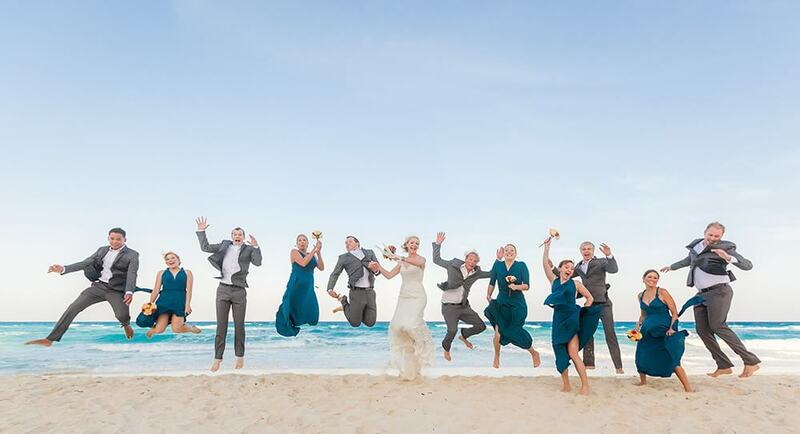 Those pictures will be on display throughout your home, in albums, on your social media pages, and with you for the rest of your life.The best option you have is to consider wedding photographers in Cancun carefully. Your tropical getaway ceremony and reception should be something recorded with all of the beauty and style that the location itself has to offer. Weddings have taken place here for many years, and there have always been wedding photographers in Cancun, Mexico ready to capture each special ceremony. That’s because this location captures culture, beauty and history all together. Photographers have long known that this is an ideal location to capture a very special day. For hundreds of years, brides and grooms before you have held hands, said their vows, and promised to be together forever.